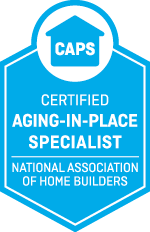 Safe Living Solutions, LLC is a provider and installer of home accessibility products, as well as a provider of accessible home remodeling and modification services. Since 2009, we have completed over 3,000 home accessibility projects, which include an untold number of home modifications and products installed. In 2017, we provided over 500 accessible solutions in 38 states. We have offices in five states, with our corporate headquarters in High Point, NC.